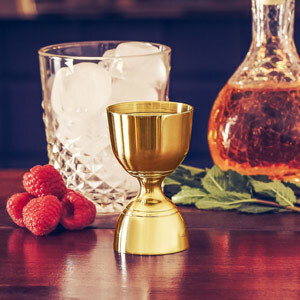 Add a touch of vintage to your bar with this British Leopold Style Gold Jigger Measure. Dual ended this jigger features a selection of internal lines letting you serve a range of measures, making it a versatile addition to your cocktail making equipment. 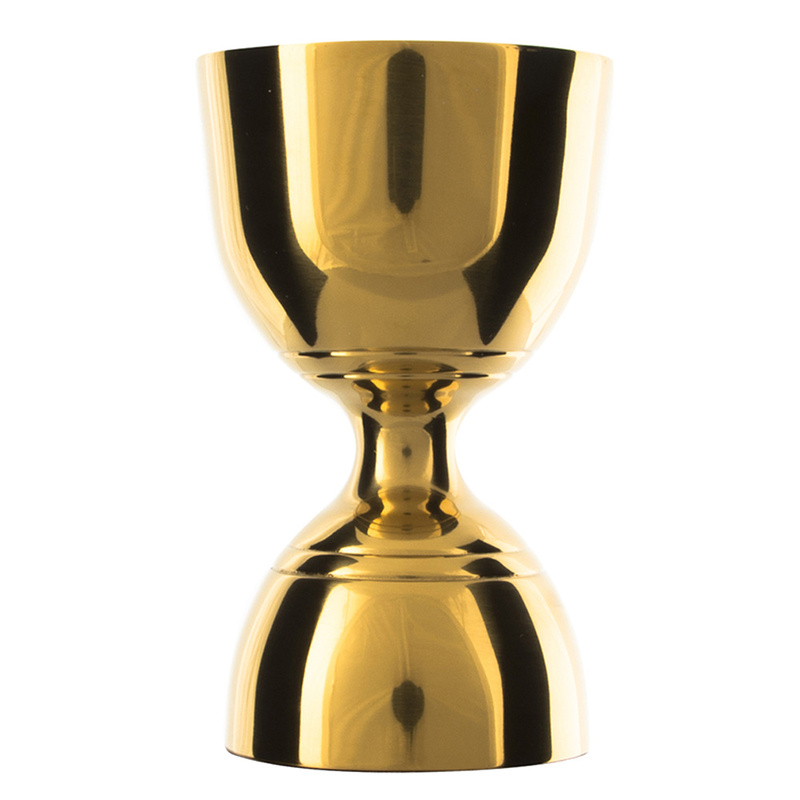 With a stylish bottle neck design, this jigger measure is easy to grip and hold, but can also be turned quickly making it a quick and elegant way of serving shots.